Te Atatu South Childcare is a family-based, privately-owned daycare West Auckland has come to know and trust. Located at 1 Vera Road, Te Atatu, we are big enough to provide a wide range of experiences to develop your child’s potential, but small enough to know each and every child, and their family. Our Centre has been operated by the same management team since opening! 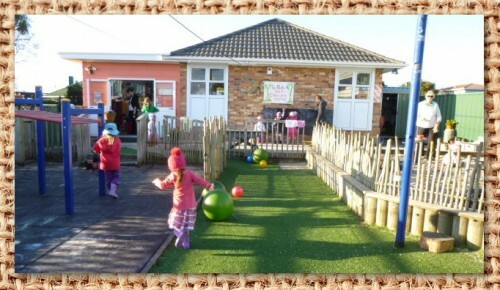 Here at Te Atatu South Childcare, our aim is to provide a home-like atmosphere which is loving, safe and secure. We know learning through play is essential for children to develop social and cognitive skills. Our environment and teaching team provide stimulation, meeting the individual needs of each child. Children learn best when they work at their own level of understanding and competence, and when they are allowed to explore and discover for themselves. We know building trust between family/whanau and staff is the key. The stronger this partnership the happier your child will be. We believe our environment is inclusive of all people as well as emotionally and physically safe. We believe that when tamariki are treated with honesty, respect and dignity, they will become trusting and responsible individuals. We will provide a stable nurturing environment that allows the tamariki to develop their overall well-being. We believe that continuity of care is essential to the children’s development. This makes us a leading practitioner of childcare Auckland-wide, and we continue to strive to give your children the best possible environment. · We welcome your visit to look around, and talk about your requirements! · Limited spaces now available! “Thank you for the wonderful care you have taken of Keara and Matty. I couldn’t have asked for a more fun, loving and great learning environment for them both. We will greatly miss all of you, you have become an important part of our family.